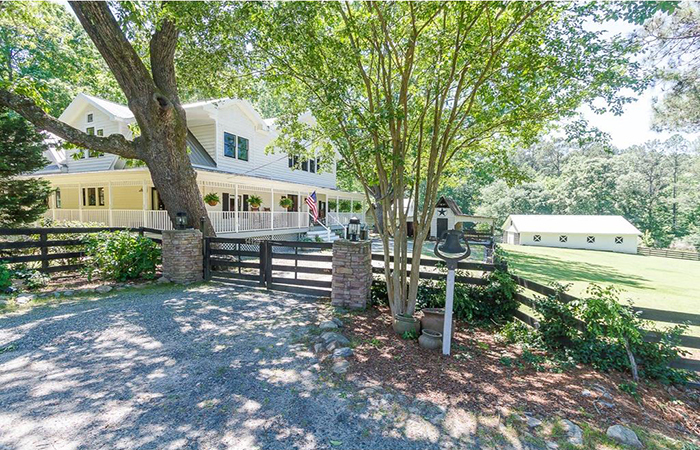 In Milton, just a few miles from the hustle and bustle of metro Atlanta, sits a nearly 150 year old farm on three acres in what was once the middle of nowhere. It was built in 1875 by Roland Tucker, who lived there with his wife, Clementine, for close to five decades. The foundation was originally pebbles and stone. A front bedroom off of entry way was for the traveling preacher. Apparently the places for a man of God to rest were few and far between as he spread the good word around Roswell in the late 1800s. The house was smaller then, but it’s still there. There have been several renovations and additions in keeping with the times, including reinforcing that original foundation. The heart of pine floors lead to an open kitchen that is very much en vogue, with open shelves and sweeping views of the property, which includes a barn, a workshop, a stable and a chicken coup. Many of the fixtures are original to the home, which has abundant natural light and custom built ins. Dorsey Alston Realtors Kim Crahan and Kara DiPrima have the listing. The address is 14125 Phillips Circle in Milton. It is one of those properties that must be seen to be appreciated. 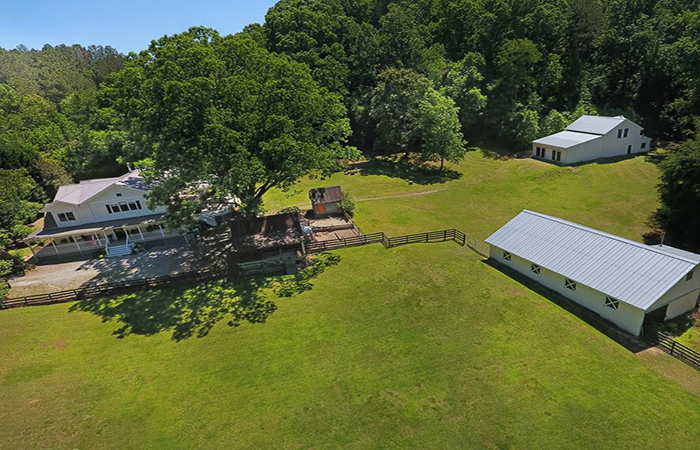 The five bedroom, five bathroom house, the property, the barn, the stables are all available for under $900,000.